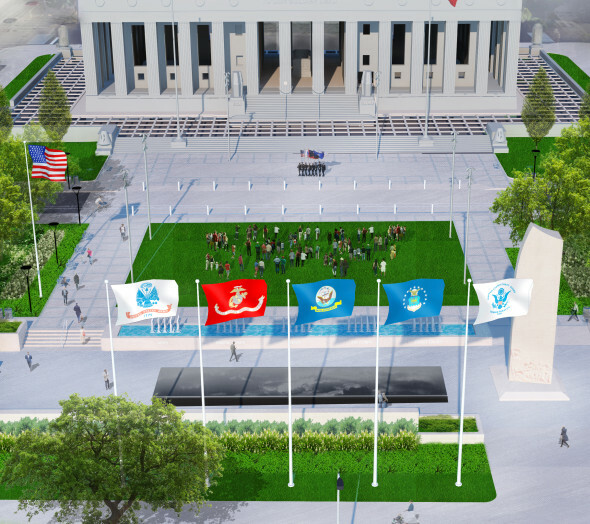 Proposed event lawn adjacent a refurbished Court of Honor. 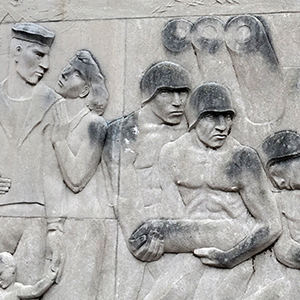 President Franklin D. Roosevelt dedicated the downtown site of Soldiers Memorial Military Museum on October 14, 1936 as a tribute to St. Louisans who sacrificed their lives in World War I. 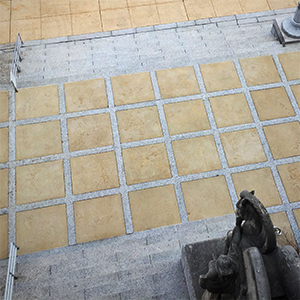 The art deco edifice faces the Court of Honor, a public park and plaza located across the street which memorializes World War II, the Korean War, and the Vietnam War. 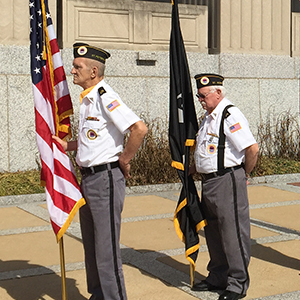 In 2015, the Missouri Historical Society signed on to oversee the renovation and reconstruction of the Memorial, and to serve as its long term steward. 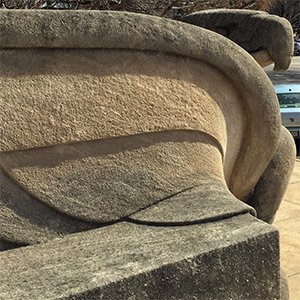 [dtls] is working with a design team led by Mackey Mitchell Architects to revitalize and enhance the grounds of the Soldiers Memorial and the Court of Honor. Because of the site’s historic nature, the project is very much about preservation and restoration. 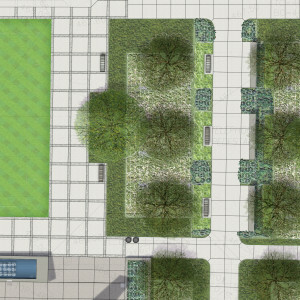 At the same time, the Client recognizes the need to reimagine the Memorial in a 21st Century context. 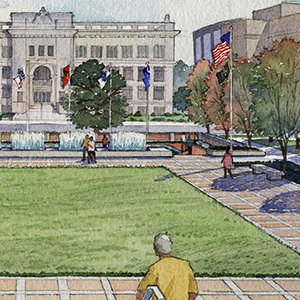 With that in mind, the site design seeks to unify the two blocks with an urban multi-function plaza space, while new fountains activate the Court of Honor, and outdoor memorial rooms provide space for quiet contemplation.